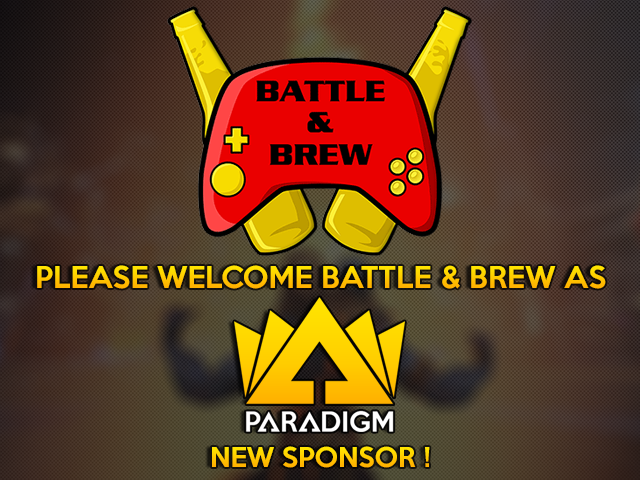 We are excited to announce our first partner and headline sponsor, Atlanta’s first Game Bar, the Battle And Brew! Doctor Who, Star Wars, Hearthstone, Harry Potter…they have it all! Be it tournaments, season finale watching, themed cosplay events or simply just good food and video games! We ourselves are so taken with the Battle And Brew, that we made it Paradigm’s Official Home and thus go-to location for the PDG fan party during the 2016 SWC, where you’ll be able to see our European Championship trophy, buy Paradigm merch and also catch the team streaming live on the Battle And Brew’s TVs. We are also planning a meet & greet with our players! Check out the Battle And Brew with your friends sometime and rent one of their TVs and various consoles for the evening or venture forth alone and make new pals who share your passions!